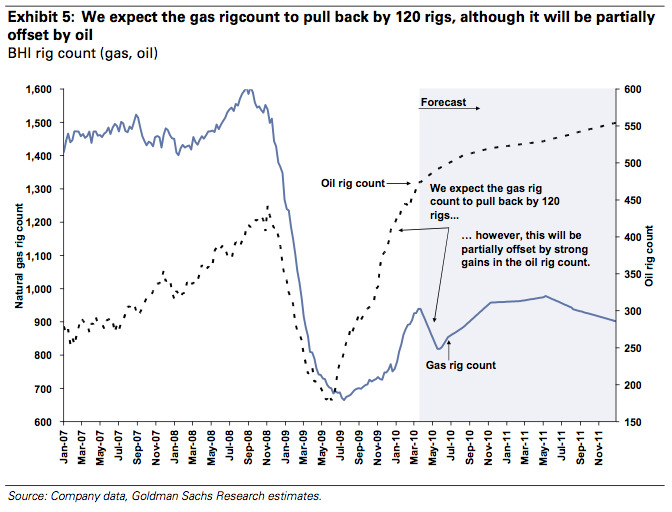 Goldman expects U.S. drilling activity for natural gas slump in Q2 as low natural gas prices and concerns about future over-supply curtail activity. Oil rig activity will continue growing. 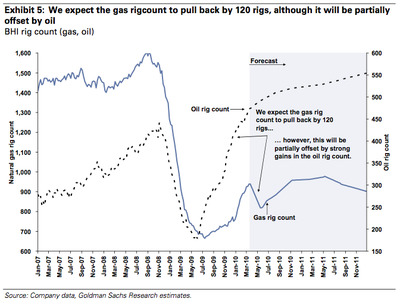 Still, Goldman believes that eventually natural gas prices will have to rise substantially since they are well below the industry’s marginal production cost. The bearish sentiment on natural gas is reaching a crescendo due to fears of chronic oversupply from the shales and LNG. However, the spot price of $4/MMBtu is unsustainably low, in our view, and we expect prices to move towards the marginal cost of $6 due to greater coal-to-gas substitution, rig count declines, improving demand, and lower than expected LNG imports. Goldman has a Buy rating on land driller Helmerich & Payne (HP) and just upgraded Patterson-UTI (PTEN) to Neutral. Moreover, here’s an interesting chart for traders. According to Goldman, land driller shares simply trade off of where natural gas prices are going. 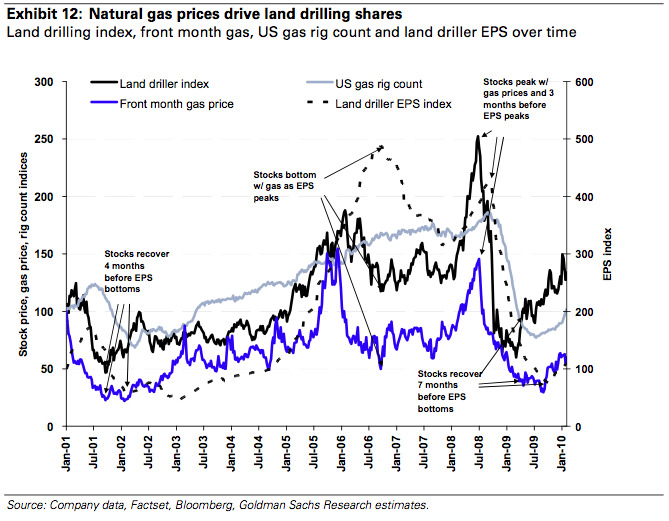 Thus their exact recommendations aside, Goldman seems to be suggesting that trading further natural gas weakness would work out well.